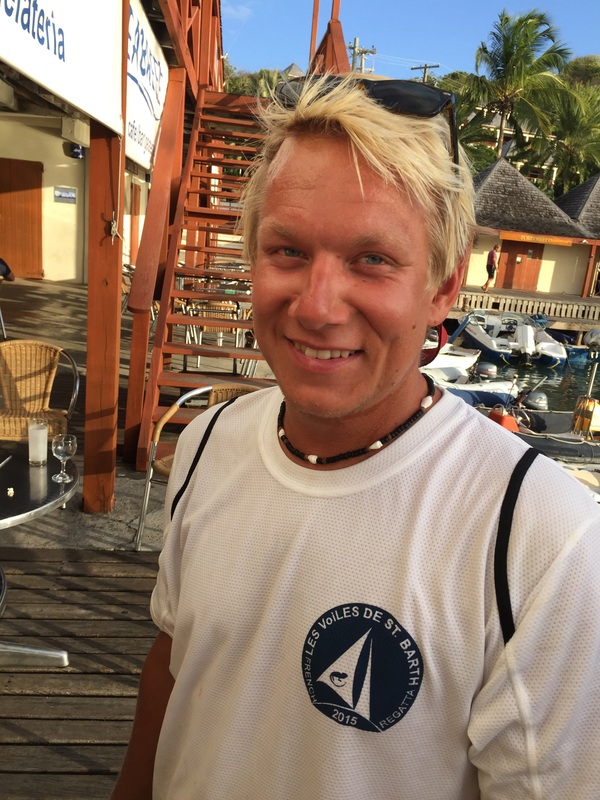 Pat Reischmann swears by shoes to the point that he says you can sail naked, as long as you wear shoes. Pat, if you recall, is advising us during the refit of our St Francis 50, the SV Aphrodite. I met with Pat when I was in Florida recently. Pat has built over 200 boats in a career that spans more than 40 years. I think he’s seen a few foot injuries. I asked Pat about shoes because I was leaving marks all over our decks, and I want to stick to our boat like a gecko if we encounter rough weather. Pat suggested that I buy technical sailing shoes, not leather ones. He said that the leather boat shoes are for when you want to look dressy. And, he said that leather boat shoes can get smelly. Technical sailing shoes look like running shoes – at least mine do. I bought Gill Deck Tech Race Trainer Shoes. This is the same model of shoe that Pat wears only his shoes are white with lime trim. 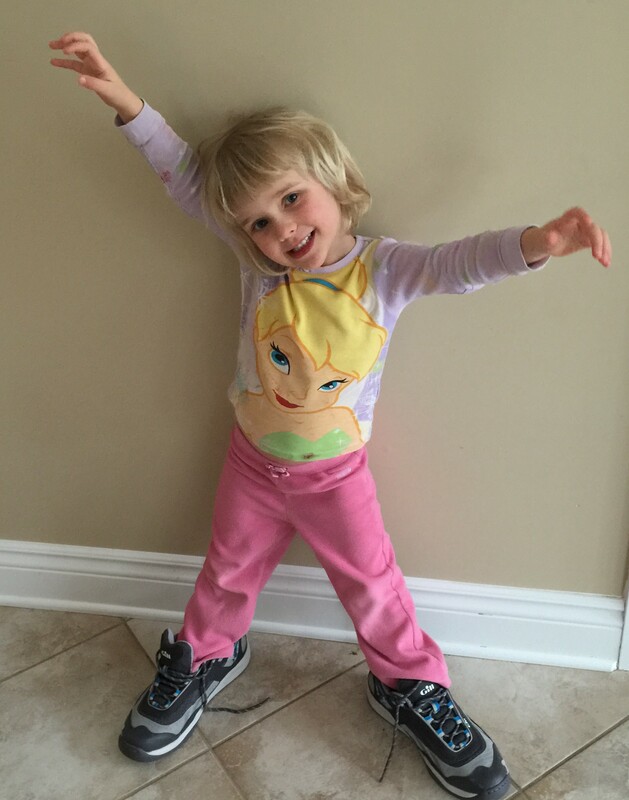 In the picture below, my youngest daughter, Karen, models my new shoes. I tried on other types of shoe, like Sperry’s – both classic and water shoe variety. I considered buying my shoes online. But, I’m glad that I didn’t because fit is important to me. I really like that the laces on these shoes allow you to adjust the fit to your foot. Plus, they were very comfortable from the start. I never buy shoes that are uncomfortable. Ever. When I was a student I used to sell Birkenstocks. I really like sensible shoes. These shoes didn’t come cheaply. They cost about $170 CAN. But, I don’t mind spending money on something that is comfortable and built to last. Gill shoes are made for men, but I’m told that plenty of women buy them too. I bought my shoes at The Chandlery in Ottawa. It’s too early for me to determine whether we’ll be sailing naked. Currently, it’s something we don’t exactly aspire to do as a family. I am part British and with four kids we can’t afford the therapy. He likes that they are Gill brand but says that the grey bottoms of my shoes will leave scuff marks if I skid on the boat. So, if you are considering buying the Gill shoes – perhaps have a look at the white and lime version of these shoes instead. I’ve managed the break the middle toe on both of my feet in the past two years. A deck cleat got me the first time, and a block on deck got me the last time. I am now a big fan of shoes while sailing.